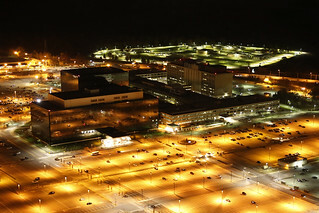 In the months since Edward Snowden revealed the nature and extent of the spying that the National Security Agency (NSA) has been perpetrating upon Americans and foreigners, some of the NSA’s most troublesome behavior has not been a part of the public debate. This behavior constitutes the government’s assaults on the American legal system. Those assaults have been conducted thus far on two fronts, one of which is aimed at lawyers who represent foreign entities here in America, and the other is aimed at lawyers who represent criminal defendants against whom evidence has been obtained unlawfully and presented in court untruthfully. Investigative reporters at The New York Times recently discovered that the NSA has been listening to the telephone conversations between lawyers at a highly regarded Chicago law firm and their clients in Indonesia. The firm, Mayer Brown, has remained publicly silent about the revelations, as has its client, the government of Indonesia. However, it is well known that Mayer Brown represents the government of Indonesia concerning trade regulations that govern exports of cigarettes and shrimp to the United States. The lawyers on the other side of the bargaining table from Mayer Brown work for the federal government, which also employs, of course, the NSA. Can the NSA lawfully tell lawyers for the government who are negotiating with Mayer Brown lawyers what it overheard between the Mayer Brown lawyers and their client? The answer, incredibly, is yes. Federal rules prohibit the NSA from sharing knowledge with lawyers for the federal government only about persons who have been indicted. In this case, Mayer Brown is attempting to negotiate favorable trade relations between Indonesia and the United States, and the lawyers for the U.S. have the unfair advantage of knowing in advance the needs, negotiating positions and strategy of their adversaries. In the Obama years, this is how the feds work: secretly, unfairly and in utter derogation of the attorney-client privilege. Read more via NAPOLITANO: NSA now meddling with lawyers – Washington Times. Wow. For whatever reason I hadn’t considered this horrifying consequence of the surveillance activities.